Restaurants have unique ventilation needs, and having proper ventilation is crucial for food sanitation as well as for employees’ and customers’ health. Having the correct HVAC solution will ensure that unpleasant odours, uncomfortable conditions and the smoke and fumes from the cooking process are all kept to a minimum. To balance out the amount of air that is being exhausted from the restaurant kitchen, it is important to make sure that you are bringing in enough fresh and clean ‘outside air’. Without enough ‘outside air’ you can experience a negative pressure condition in your building which can lead to an array of problems, including poor air quality and reduced energy efficiency. High volume cooking can release high volumes of grease, smoke and particles into the air which can be unpleasant and unsafe to breathe in. Chapman Ventilation can provide solutions to improve the quality of the air abiding to strict building regulations and dealing with being in sensitive locations. Our bespoke service means that we are able to give clients expert advice and recommendations to suit the needs of the business, employees and customers. 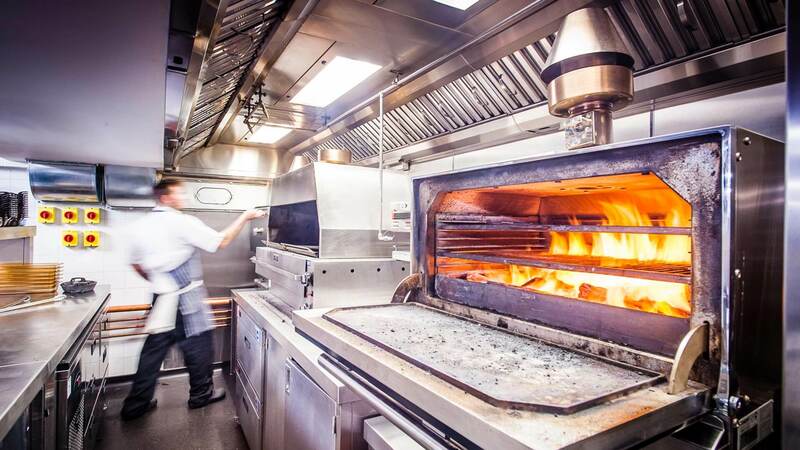 If you have any concerns and questions about keeping your restaurant kitchen well ventilated, contact our team here.